Intuitive and simple user interface. Clean, lightweight and extremely fast loading by pre-loading photos. Real time progress bar keeps track of every photo upload and allows users to watch how much of photo has been uploaded. 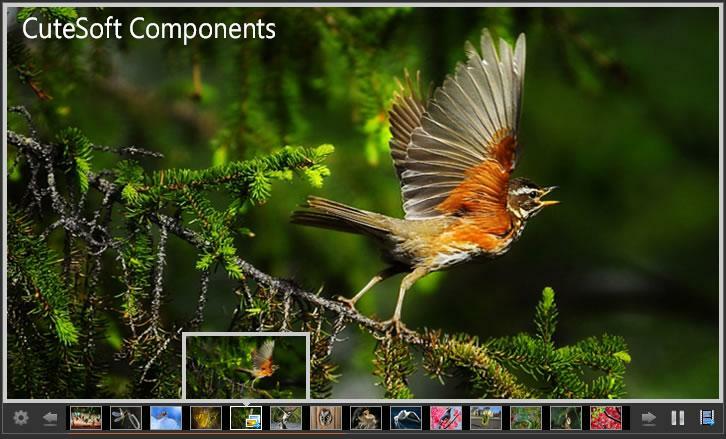 Automatically creates thumbnails of all your images and places them in the same directory. Highly customizable layout; The look and feel of gallery controls can be customized to seamlessly blend into your website design. Creates unlimited galleries and upload unlimited photos. Supports client side validation of the file size/type before uploading. Visitors can comment on your photos. Ability to resize the upload images. Works in a hosted medium trust environment. You can use it as stand-alone gallery or easily integrate into existing ASP.NET application. 100% managed code written in C#. Adds captions to each photo.